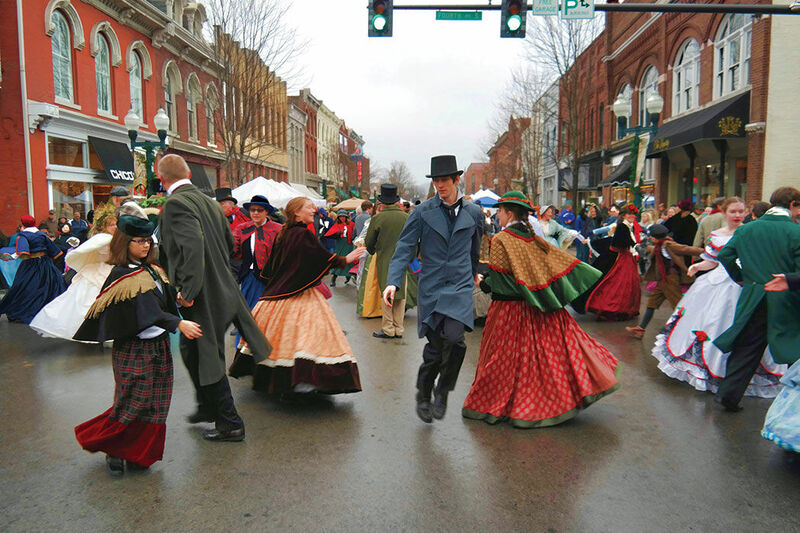 Lafayette, IN’s Dickens of a Christmas is a holiday tradition around here since 1991. Here’s what it is according to the Shop Downtown Lafayette website: “Parts of Downtown Lafayette, IN transform into scenes from Victorian England in the mid-1800’s as locals act out scenes from Charles Dickens’ ‘A Christmas Carol’.” It’ll be an adventure back in time! Not only will you find quality entertainment at this event, but you’ll also be able to shop ’til you drop local goods. Yay for wrapping up Christmas shopping! Shop Downtown Lafayette and Lafayette Q1067 host this year’s once-a-year treat, and we recommend you check this one out! Stop by this Saturday, December 8th from 10:00 A.M. – 4:00 P.M. to join in on the fun! Click here to see the Shop Downtown Website. Click here to view the Facebook event which features up to date information and area to ask questions. Dickens of a Christmas is a spot for local vendors to set up shop for you to browse, similar to the Holiday Mini Market. So, this event is perfect for helping you finish up that Christmas shopping! Small businesses such as Chuggy’s Dog Treats and The Druid’s Way will be there. In addition to shopping, all the things fun will abound. Free hay wagon rides offer fun for all ages and sizes. The Dickens Carolers will be moving about the event performing Christmas songs and scenes from “A Christmas Carol” at Duncan Hall. See below for where to find Santa when he visits! Pegasus Entertainment will also perform the story of Ebenezer Scrooge at 11:00 A.M, 1:00 P.M., and 3:00 P.M. in the 5th St Farmer’s Market area. There will also be live music all around! Be sure to keep your eyes and ears open for all these things! BISTRO 501– Pancake Breakfast with Santa (reservations required) from 9:00-10:30 am and then a “special guest” from the North Pole.